powders, slurry, liquids, and mix phase. Ribbon mixer, Rotary mixer, Paddle mixer, Double cone mixer, Drum Mixer, Pan Mixer. 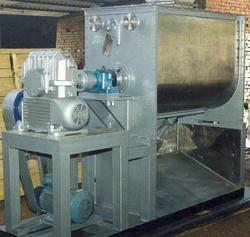 Vacuum Mixer, Horizontal mixer, Vertical mixer etc. 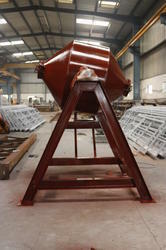 We are also engaged in manufacturing, supplying and exporting a wide range of Double Cone Mixer. In accordance with the international quality norms, these Mixers are designed and developed using premium class materials and modern technology methods. These Mixers are widely demanded in various industries for their smooth performance, easier operations, less maintenance and longer serving life. 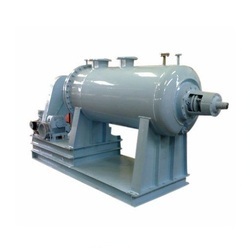 We are also engaged in manufacturing, supplying and exporting a wide range of Sigma Mixer. In accordance with the international quality norms, these Mixers are designed and developed using premium class materials and modern technology methods. These Mixers are widely demanded in various industries for their smooth performance, easier operations, less maintenance and longer serving life. 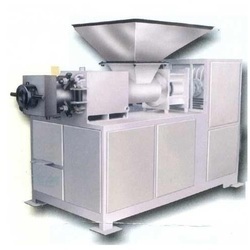 We provide Ribbon Mixer and Ribbon Blender for various application in different industries. We are also engaged in manufacturing, supplying and exporting a wide range of Pan Mixer. In accordance with the international quality norms, these Pan Mixer are designed and developed using premium class materials and modern technology methods. These Pan Mixer are widely demanded in various industries for their smooth performance, easier operations, less maintenance and longer serving life. Heavy Duty application for Viscous products such as Detergent cake, detergent power, chemicals, Ceramic Industries. 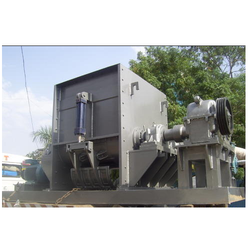 We are also engaged in manufacturing, supplying and exporting a wide range of Rotary Mixer. In accordance with the international quality norms, these Mixers are designed and developed using premium class materials and modern technology methods. These Mixers are widely demanded in various industries for their smooth performance, easier operations, less maintenance and longer serving life. Heavy Duty, Low Power consumption.